While the rich architecture and history makes the popular Madrid city worth a visit on its own, it is also worthwhile to leave it as a base for many amazing day trips. 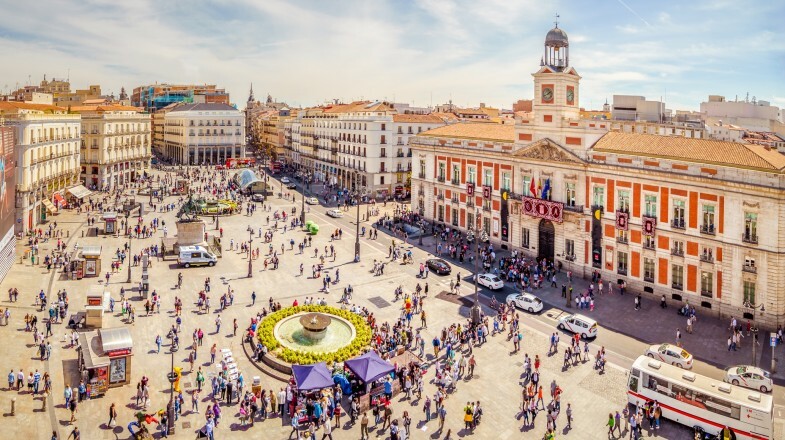 Once you’ve hit the Royal Palace, the Plaza Mayor, and devoured on many chocolate-covered-churros, it is time to hit the road to explore more destinations within a few hours from the Spanish capital. Here are the top 6 day-trips from Madrid that you should experience. 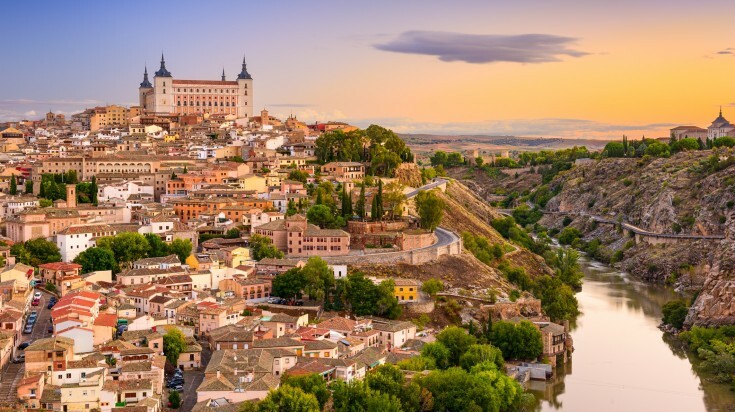 Perched on top of a gorge that was carved by the River Tajo, the ancient city of Toledo is a remarkable destination that should be on the to-visit list of anyone traveling to Spain. Boasting multicultural history and architecture, mainly Catholic, Jewish, and Moorish, the city is often called the ‘City of Three Cultures’. Just an hour drive from Madrid, visit Toledo to witness the artistic, cultural and spiritual amalgam of the three faiths. Good to know: If you want to experience the green side to Toledo, take a walk along Senda Ecologica. The footpath starting from Saint Martin bridge and leading to Alcantara bridge, is attached to the rock face and takes you around the gorge, availing fantastic views. Get a more in-depth information on Madrid to Toledo day trip! If you want a beach day on a hot summer afternoon in Madrid, the city of Valencia is the best day trip to take. Take the train or even the plane to enjoy sun, sand, and sea in any of Valencia’s fantastic beaches — the Playa de las Arenas and the Malvarossa are great options. Unwind and relax in the shores of the Mediterranean Sea. 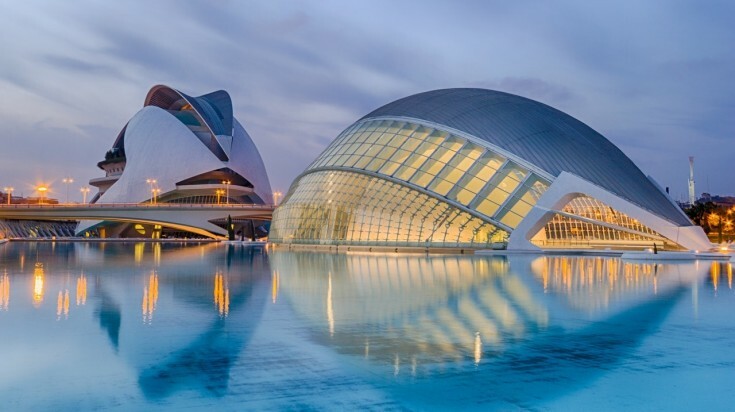 When ready for exploration, do not forget to visit the La Ciudad de las Artes y Las Ciencias, which houses the famous aquarium of L’Oceanogràphic. Good to know: Try paella in Valencia. As the home of paella, you will find the most authentic of this dish here. Here is all you need to know about taking a day trip from Madrid to Valencia. The capital of Castilla y León province, Segovia is one of the most recommended day trip from Madrid. Largely known for the famous Aqueduct that run through the city’s centre, the historic city also features the extraordinary Alcazar, the Royal Palace of La Granja de San Ildefonso, the magnificent Cathedral in Plaza Mayor and more. If the cultural grandeur of the place doesn’t satiate your hunger, try cochinillo — a dish made of roast suckling pig! Good to know: Amidst the splendour of Plaza Mayor is a humble church — Iglesia de San Miguel. This is where Queen Isabel was crowned the Queen of Castile. If you didn’t know, she was the one who financed Christopher Columbus’ trip. 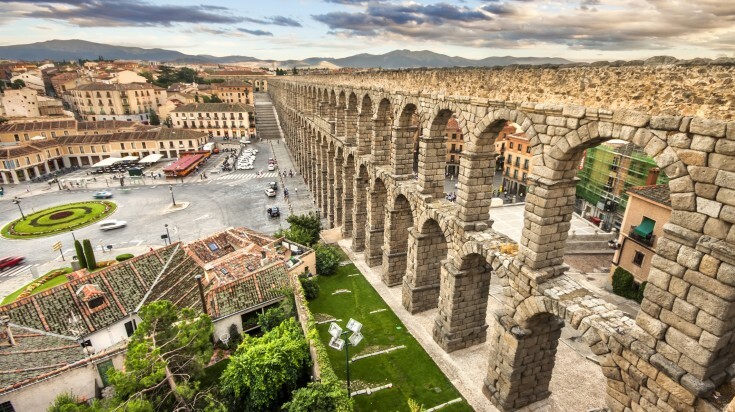 Learn more about the day trip from Madrid to Segovia! Salamanca is the less touristy and the younger version of Toledo. 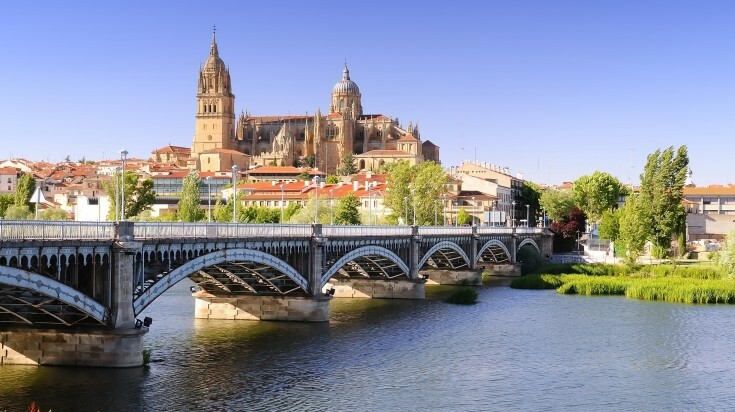 Known to house the oldest university of the Christian Spain, the Siglo de Oro, Salamanca has more to offer its visitors. While simply wandering around the city should open you to new discoveries, we do recommend visiting some classic attractions. Explore the Old and New Cathedrals, the Roman Bridge, the gothic architecture Casa de las Conchas, or go up the Scala Coeli (Italian for ‘stairway to heaven’) to the Torres de la Clerecía, where you can enjoy some breathtaking city views. Good to know: There is a famous spot in the University of Salamanca, which features an impressive façade where you can find a hidden frog located on a skull, known as “La Rana de Salamanca”. Let’s see if you can find it! 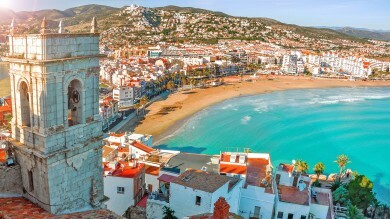 Home to the stunning Great Mosque and as Spain’s gastronomic capital, Cordóba has become a much sought-after destination in Spain. 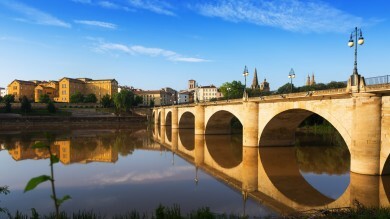 Now easily accessible via high-speed trains from Madrid, the city is a not miss. Explore the beautiful patios of the Alcázar de los Reyes Cristianos, the Palacio de Viana, Plaza de la Corredera and the Jewry amongst other sights. When that is taken care of, navigate through stone-paved lanes, between quaint homes with flower-clad balconies, and to the many hidden plazas. Good to know: Summer (July and August) in Cordoba can reach maximums of 40°C! Spring or fall should be the best season to visit. 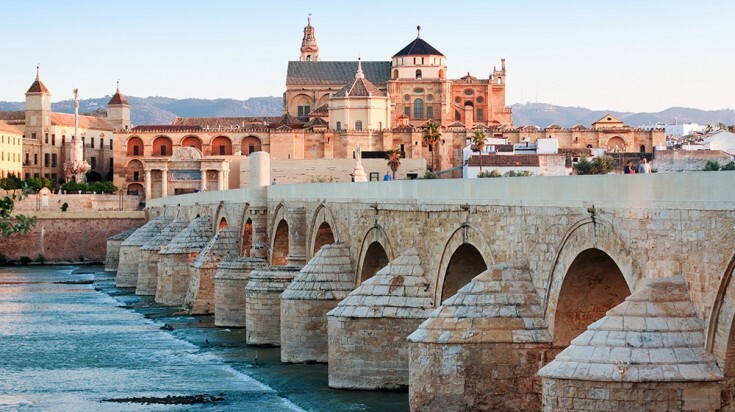 Find out more about taking a trip to Córdoba from Madrid. 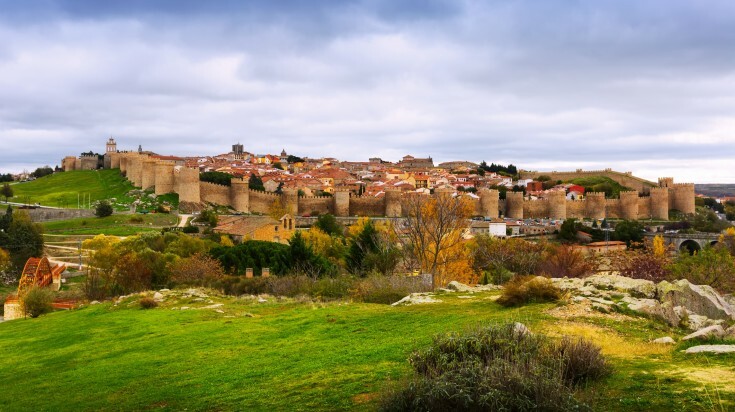 Another very popular and easy day trip from Madrid, Ávila is known to have more number of Gothic and Romanesque churches per capita than any other Spanish city. The city houses some charming small towns that are worth strolling around. And when you cannot take any more church tours, it is highly recommended to visit the intact city wall that dates back to the 11th century. You can also climb some of the towers and walk along some sections of the wall for scenic views of the town. Good to know: Avila offers some great gastronomic routes, so do not hesitate to stop by some of their bars and ask for a drink. For sure they will give you some tapas with it! There is no reason to limit yourself to Madrid when in the city. As evident, there are several easy options to get out of the city and enjoy different cities on day tours. Madrid day trips include historic cities and coastal towns, palaces and wineries, and more.